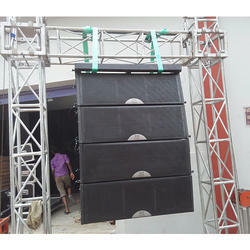 Portable line array systems provide an approach to live sound different from other systems. Using proprietary Bose® technology, L1 systems combine PA and monitors into a single, highly portable unit. The loudspeaker can be positioned behind or to the side of the performer—and you hear what the audience hears.